beautybliz.com / Buy Now: Dry Spray Antiperspirants Launch in the U.S.
Buy Now: Dry Spray Antiperspirants Launch in the U.S.
No matter what your choice of deodorant formula is, they tend to all leave some sort of sticky, wet residue behind, right? Not to mention the mess they leave on your LBD. #Gross. It’s about time our deodorant and antiperspirants kept up with our fast-paced, fashionable lives, and Unilever, the company that runs brands like Dove, Degree and Axe (just to name a few) is doing just that with the U.S. launch of Dry Sprays. Now, if you’re European or frequently travel across the pond, you’ve probably seen or tried a dry spray before. These types of antiperspirants make up about 60 percent of the European and Latin American markets. 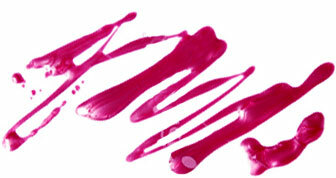 When you apply a Dry Spray, you’ll most likely think that you didn’t put anything on. That’s how invisible these babies are. They dry on contact without coating your armpits with wetness or those little white balls. The formula is made without water or alcohol, but it uses a precision-designed spray mechanism that allows it to instantly dry on contact, keeping you fresh for up to 48 hours. 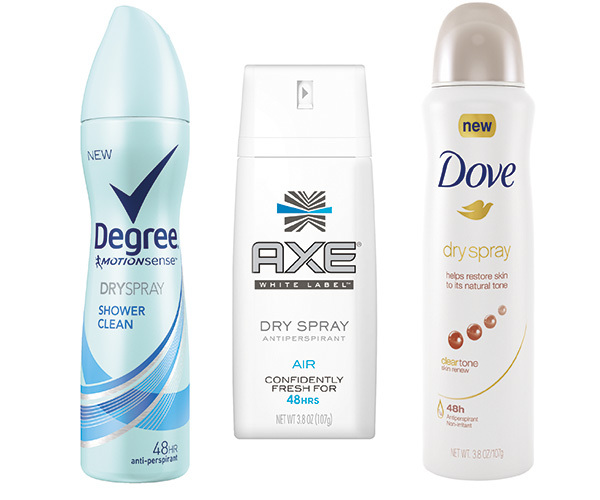 This new form of deodorant is available in all of your favorite brands including Dove, Dove Men+Care, Axe and Degree for Men and Women in a variety of scents. They officially go on sale today at local retailers.